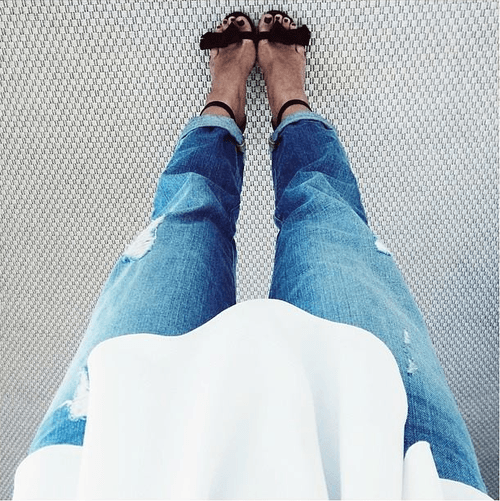 To extend the life of your jeans, no matter how much do they cost, there are some effective tips and advices. If you follow them, you will enjoy your acquisition for years. 1. Real fans of denim, are aware that raw denim (of which the jeans are made, that are harder and their color doesn’t fade) may need six months till it get softer, and till then it should not be washed. Why? Jeans adjust to body, and when you wash them, they lose their shape. 2. Most of the jeans today are treated in advance, as to fade and to have no need of period for adapting and softening of the fabric. You can wash them more often than the raw denim, but only when are really dirty or start to lose their shape. 3. And what can we say about their smell of unwashed jeans? With the abrasion there is a period, when the jeans doesn’t look washed, and doesn’t smell so good either. In this case is better to put them on hanger in the bath to take from the steam. This will extend the period between two fumes. Other variant is to froze them in nylon in camera for around two days. 4. If you have soiled your jeans, during you are in period, the way out is to wash them with cold water. And if you want the denim to fade faster, washe them with hot water. 5. While they are washing in the laundry, add one cup of white vinegar, as to maintain the dark jeans color saturated. 6. Don’t put your jeans in dryer. 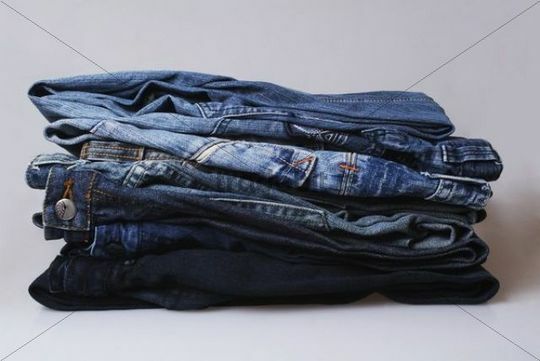 Or use lower temperature and get your jeans out, till they are completely dry. Dry them with the waist part down. 7. To bend your jeans like pros there is one tip. Put your pair on flat surface, bend them half ( leg on leg ). After that bend the leg to the belt, as the bending to be half of the length to the belt. After this tight them once more – or in other words, bend the jeans on three parts. 8. The jeans fabric should breath, so don’t put your denim jeans in very crowded wardrobe or together with other tight clothes like vest for example. 9. If you need correction of your janes, before you get them to a sewer, wash them at least two times more, because they are shrinking from the wash.
10. If you don’t have any time to try jeans in the magazine, you can test them with sure method: place the waist of the jeans around diameter on your neck. If your waist comfortable touches it’s ends in the back part of the neck, then the jeans are for you.